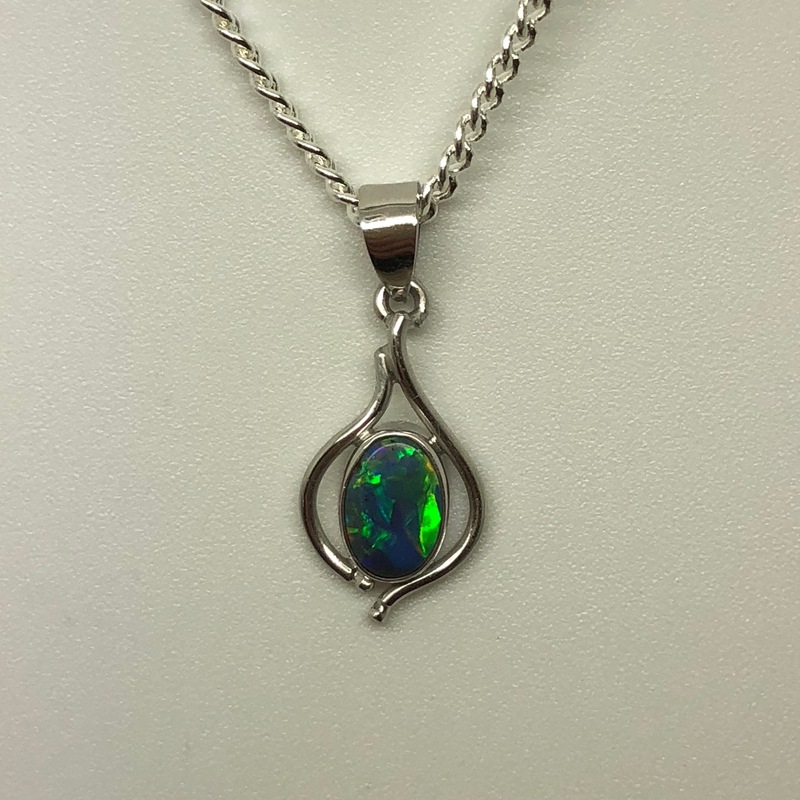 Gorgeous 18ct white gold pendant handcrafted in the Gold Coast, QLD. 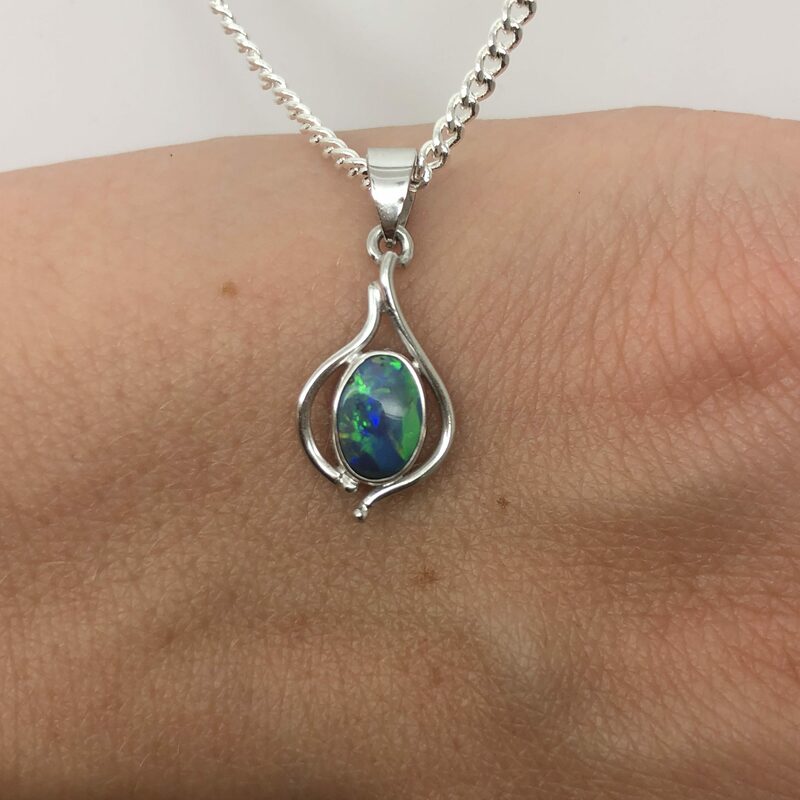 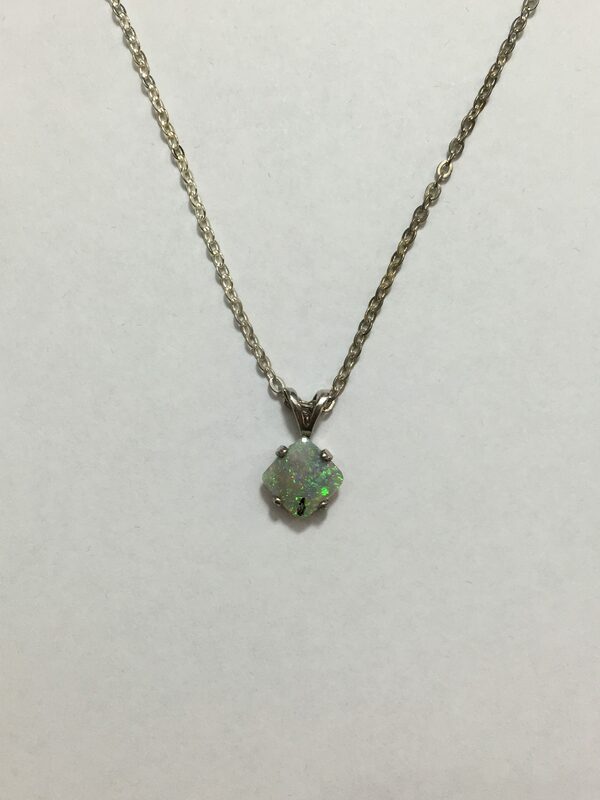 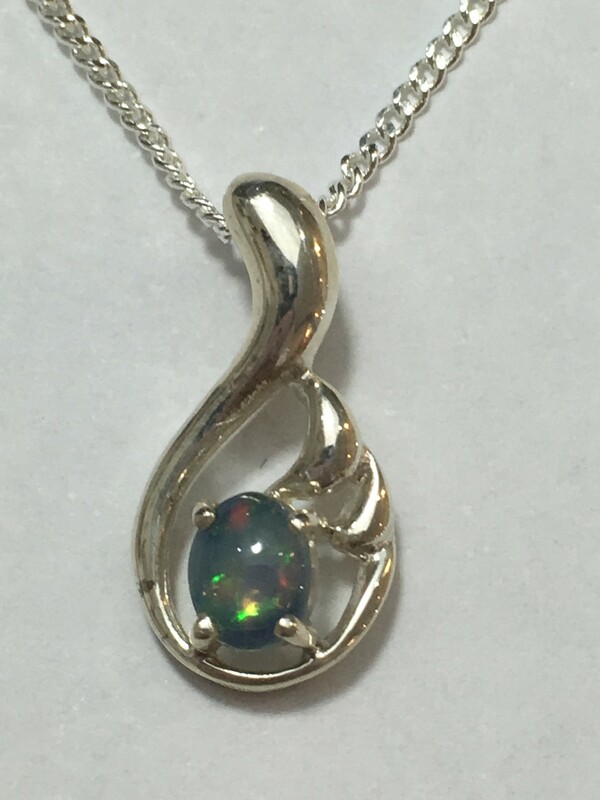 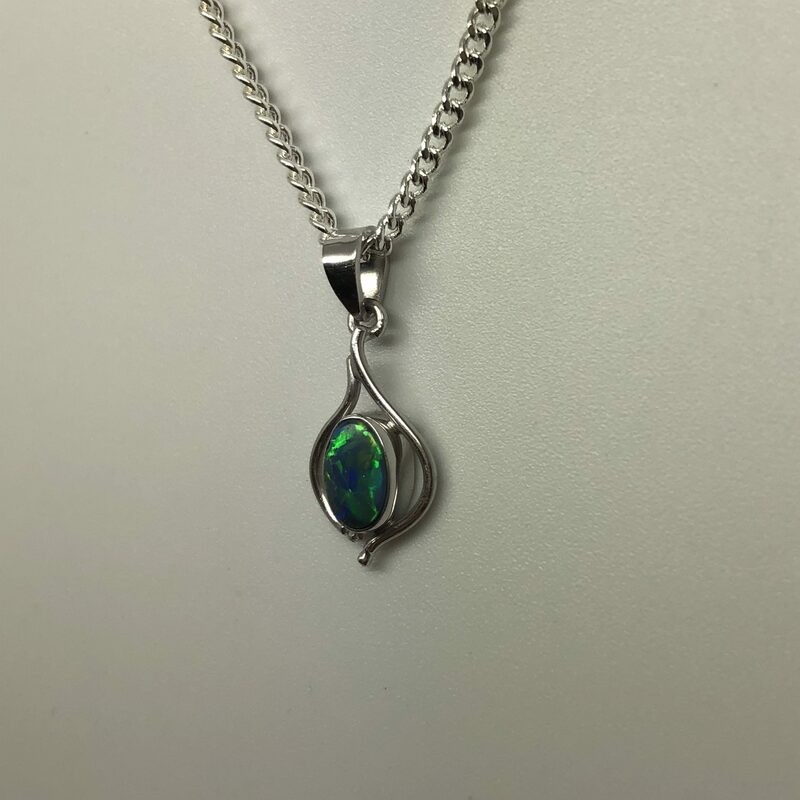 This setting encases a beautiful solid opal with blue, green pattern. 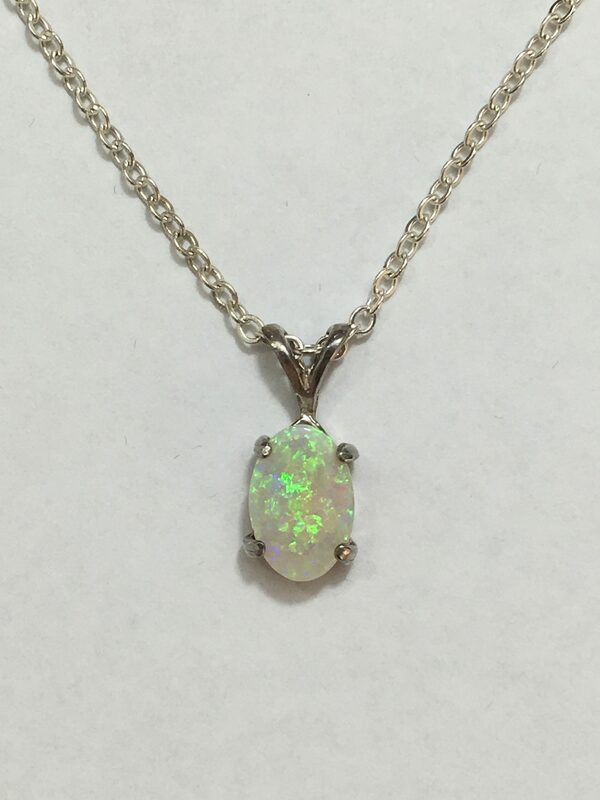 Opal mined in Lightning Ridge, NSW. 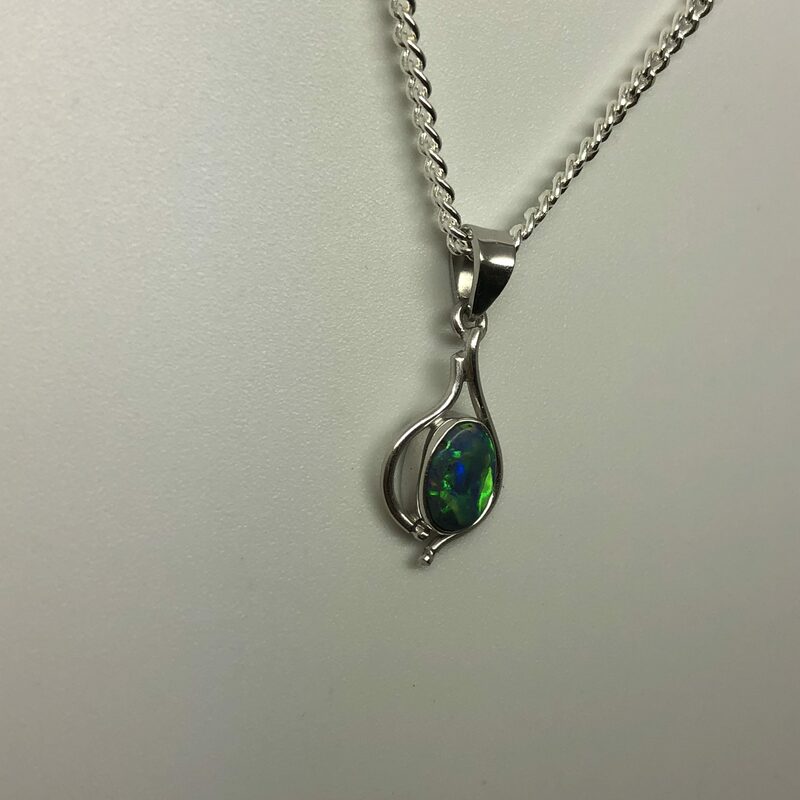 Comes with complimentary silver plated chain.